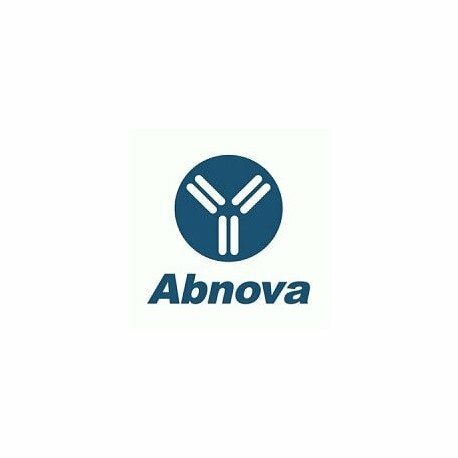 Product description: Rabbit polyclonal antibody raised against synthetic peptide of CFLAR. Immunogen: A synthetic peptide corresponding to amino acids 75-92 of human CFLAR. Application image note: Immunhohistochemical analysis of CFLAR in two tissues cores from a formalin-fixed, paraffin-embedded human brain tumor microarray.  Using CFLAR polyclonal antibody (Cat # PAB0257) at 1 : 2000. 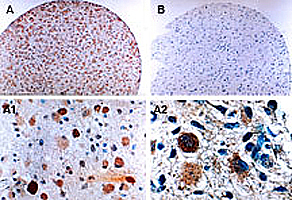 A, gemistocytoma (Grade II) positive for CFLAR expression. B, gemistocytoma (Grade II) negative for CFLAR expression. A1 and A2 are higher magnifications from A. A, A1, and A2 show expression of CFLAR in the gemistocytes of the tumor. Hematoxylin-eosin counterstain.